Three years after the murder of Mike Brown and the St. Louis region finds itself in a similar situation. Another police officer has walked free, a family is reliving the pain of their loved one’s murder while being denied justice, and the community has taken to the streets to show that we will not tolerate the continuous killings of black people by police, nor officers doing so without conviction. What’s also the same is how elected government officials and the St. Louis Police Department (STLPD) are responding. Before to the verdict was released and prior to any protests occurring, the governor of Missouri activated the National Guard and the STLPD announced that they would be moving to 12-hour shifts. Then, as soon as the protests began, multiple transit buses of STLPD met protestors outside the courthouse dressed in riot gear with shields and batons, in broad daylight. The police showed up with the intention to antagonize, literally from the moment people arrived to protest…before ANYTHING had happened. Photo of STLPD officer, surrounded by rows of other officers in riot gear, on 9/15/17, about 3 hours after the verdict was released. So knowing that, it’s by no surprise that the police and the media are pushing the same narrative from three years ago: the protestors are violent and vandalizing property. I really don’t want to spend a ton of time on this point because I really feel like the conversation has been exhausted. But I’ll say it one more time, briefly: we are not doing this. The people who come out and protest are not interested in nor do we condone vandalism. However, there are agitators who come to our spaces of protest and do these things. You all should notice that this typically happens after nightfall. If you all pay attention to our protests, we don’t begin at nightfall. We have literally been protesting all day for the past 48 hours. The large majority of the time, you hear and see no reports of anything being vandalized, because nothing is being vandalized. But when a window gets broken at 11 pm the police and the media use this as an opportunity to change the narrative and make it about violent “protestors” instead of focusing on how hundreds of people of all different backgrounds have continued to show community and take a stand against the continuous non-convicted murders of black people by police. But again, I’m not surprised by this. The police are a part of the system and the system is guilty. So of course they’re going to try to turn this around and divert the attention from their corruption. But what I am so frustrated by and tired of is the people buying into this narrative. All the statuses and comments about how you don’t understand what breaking things is going to do only elevates this false narrative that the police and media are trying to create. You are helping them achieve exactly what they want because now we’re all talking about vandalism instead of the fact that this officer murdered a black person and walked free. The protestors are not the ones vandalizing property. It’s a small group of agitators. Understand that and stop mentioning it in association to the protests. Every time you do, you are assisting the police and media in smearing this movement. However, while we do not condone vandalism, we understand that people are hurting and hurt people hurt people. So try to be less judgmental and think more about what has happened that has caused people to resort to vandalism. A broken window matters less than a life taken by police brutality. So for every post or comment you’ve made about vandalism, I hope you have 50 times more posts and comments about black people being killed by officers, and the officers walking free. And also, don’t believe that all of the vandalism is coming from the agitators. There’s video of police breaking the window of a local business in the Central West End on 9/15/2017. Simply put, Anthony Lamar Smith did not receive justice so St. Louis will not have peace. Traffic flow will be disrupted and people will not commute in peace. Neighborhoods will be disrupted and people will not lounge in peace. Malls will be disrupted and people will not shop in peace. Restaurant strips will be disrupted and people will not eat in peace. Business will be disrupted and profit will be lost. But that’s the exact point. The judicial system did not render justice so we will continue to disrupt and keep the attention on this unjust situation, impacting people and profits directly until we get justice. Because we know that, unfortunately, people often tolerate injustice until it impacts them directly. Once it impacts folks directly, they are then motivated to act and make decisions that render the justice we’ve been demanding all along. Any disruption that people experience from our protests pales in comparison to the disruption of the lives of the families of victims of police brutality. We just want justice. The sooner we get it, the sooner there will be peace. Know justice, know peace. 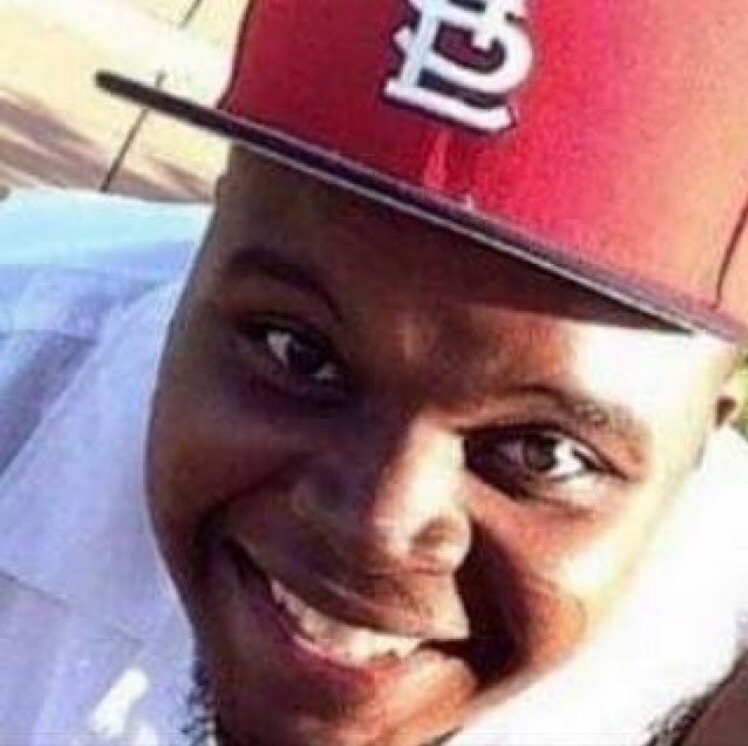 2 Years Later: Anniversary of the Murder of Mike Brown, Jr.
8.9.14. The day that changed everything. 2 years. I’ve been anxious about this day coming ever since August arrived. I could feel the heaviness of my heart as soon as I opened my eyes today. But I’d be lying if I said I’m not impacted or concerned by the trauma that black people have relived over and over in just these 2 years alone. 2 years of police murders, hashtags, protests, non-indictments in a never ending cycle. 2 years of listening to the media criminalize the victims and prove they deserved to die, in a way that we never see done to non-black victims. 2 years of our friends, people we grew up with and love, showing us their bias and racism through social media posts. 2 years of the overall society constantly reminding us that our lives don’t matter, through the condoning and justification of our murders. 2 years of selective grief, where America can mourn and show empathy for the deaths of animals, police officers, and victims of foreign terrorism but show not an ounce of those feelings for black lives. 2 years of people bringing up “black on black crime” as if black people have this phenomenon of killing each other when statics tell us that the majority of ALL crime is intraracial (not to be confused with interracial…I literally have had to explain this to people). 2 years of debating #BlackLivesMatter and all lives matter but then those same people say blue lives matter, proving that it’s solely the ‘black’ that’s the issue. 2 years later, all these feelings are pouring out of my eyes. I’m tired. I’m traumatized. I’m hurting. I’m grieving. Im educating. I’m fighting. And I’m thankful for all the people who are on the ground, organizing, educating, running for office, and any other effort towards freedom. 2 years later, the movement lives and we will win. On October 22, 2015, Aleidra Allen was featured on a HuffPost Live segment. She shared perspectives on the discussion of the Black Lives Matter movement during presidential debates, the Democratic National Committee (DNC) promoting a Black Lives Matter town hall meeting, and the recent burning of churches in St. Louis, MO. Check it out below (Aleidra speaks at minutes 6:41, 14:27, and 20:37)! From HuffPost Live website: With the Democratic National Committee agreeing to promote a presidential town hall hosted by the Black Lives Matter movement, we discuss how candidates should approach the social justice campaign and how much it will affect the upcoming election.